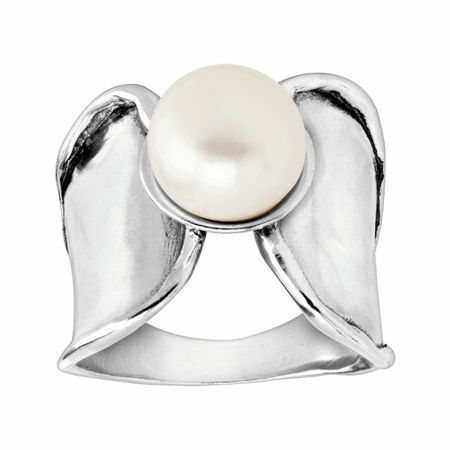 Show off your bold-yet-polished style with this oversized pearl ring. A freshwater pearl sits central between tapered sterling silver strands, crafted with a spoon ring-inspired frame. Ring face measures 3/4 inches in width. Piece comes with a “.925” sterling silver stamp as a symbol of guaranteed product quality.